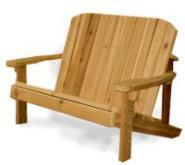 See other products and categories in the Adirondack and Garden Furniture category. Matches the arm height of the Jr Chair and Buddy Bench. The Junior Play Table is just the right size to match the junior grouping.��It is easy for kids to move about and is very solid indeed. The Junior Play Table can be used as a short stool. Footstool or plant stand.